A hurricane rain can bring a lot of damage to the South Florida landscape. With the strong winds and sheets of rain, the results can be devastating to vehicles, businesses and homes, not to mention your air conditioner. And when it comes to floods, using your air conditioner can be a dangerous situation. As the flood waters start to rise, it’s time to turn off the power to your air conditioner. Go to your breaker panel to turn off the power to your air conditioner unit and from the thermostat. It’s dangerous to use the unit while submerged in water or even in just standing water. An air conditioner that is still turned on while submerged can be an electrical shock hazard, which can be fatal, as an electrical current in the water around an air conditioner could transfer to other structures and transfer into your home. This can cause system damage and electrical jumping—which can ruin internal components. When the flood waters recede and it is safe to return to your home for clean-up, one of your first phone calls should be to Lindstrom to schedule a technician to come out and inspect your air conditioner. You do not want to turn on your air conditioner before a technician has inspected the unit, even if the waters have completely receded from the home. While waiting for the technician, make sure that all electrical switches have been turned off, then try to remove excess water from around your unit. 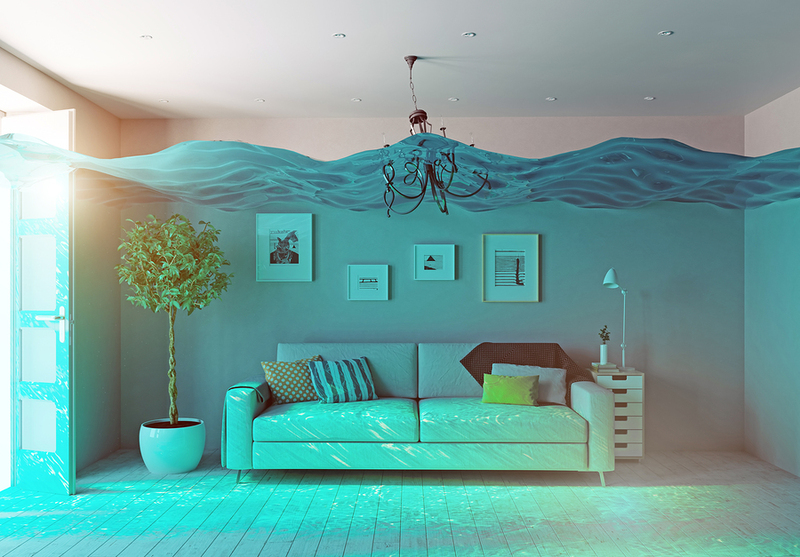 Also look into your homeowner’s insurance policy to see what your flood insurance will cover for your home—check to see if any repairs are covered under a claim. Request to have estimates prepared for your insurance. Depending on the amount of water present and the length of time the unit was under water, you might need a new air conditioning system. Your Lindstrom technician will be able to determine the amount of damage and provide an estimate, if needed.